Today, we join United Ways and Centraides in communities across the country in marking National Aboriginal Day, celebrated on the summer solstice in honour of the Indigenous Peoples of Canada. Our colleagues at national Indigenous organizations – including the Assembly of First Nations, Congress of Aboriginal Peoples, National Association of Friendship Centres, Native Women’s Association of Canada, Inuit Tapiriit Kanatami, Métis Nation of Canada, and Pauktuutiit Inuit Women’s Association – recognize today as a holiday, and an opportunity to celebrate their culture and customs. Today, we can all recognize the vibrant history and outstanding contributions of Indigenous Peoples by joining in the celebration and taking some time to reflect and learn. The Aboriginal Peoples Television Network hosts a day-long National Aboriginal Day Live on TV each June 21. This event is held in a different city every year; this year it takes place at Major’s Hill Park in Ottawa. The largest National Round Dance ever also takes place in 8 communities nationwide today. Identify the Nations and languages traditional to your area. Learn about the forced resettlement of the Inuit through the High Arctic Relocation of the 1950s, or about the Indian Act and how it deprives our First Peoples of the basic human rights granted to settlers. Listen to the powerful social commentary in the contemporary music of A Tribe Called Red, Tanya Tagaq, or the many other award-winning Indigenous musicians honoured at the Indigenous Music Awards. 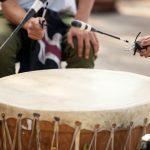 The Truth and Reconciliation Commission’s Final Report examines one of Canada’s most notable historical injustices against Indigenous peoples – the Residential School system – and lays out a plan of action to guide the country’s journey toward building a strong relationship – based on mutual respect – with First Nations, Metis and Inuit communities. This morning, Prime Minister Justin Trudeau issued a statement on National Aboriginal Day – renaming it National Indigenous Peoples Day in years to come. Click here to read the full statement.